The ins and outs of jewelry insurance. What determines my policy limit? The documentation you provide. Usually this is an appraisal, sometimes a detailed receipt is acceptable. Whatever value is listed on your jewelry’s documentation is the maximum amount we will pay your jeweler to repair or replace your item. If your jewelry costs more to replace than you have it insured for, you will be responsible for the difference. This is why it’s so important to keep your values up-to-date. Do you have a sample policy I can review? Yes. You can review our sample policy to get more detail about specific situations covered, what to do if you lose your jewelry, and how the claims process is settled. What doesn't a rider to my homeowners' insurance cover? An amount of money that you have to pay for something before an insurance company replaces the item. When your deductible increases, your premium decreases and vice versa. The amount paid to maintain insurance coverage, typically annually. If something happens, how do I file a claim? You can file a claim quickly and easily online. But if you prefer, feel free to call us at 888-884-2424. How long will it take for a claim to be settled? We do our best to handle your claim quickly, professionally, and personally, and to work with your jeweler to get your jewelry restored to you as soon as possible. As soon as something happens, file a claim online or give us a call and we’ll get started. Can I choose my own jeweler during a claim? Yes. In fact, we encourage you to. We don't even need to approve your choice of jeweler; our claims professionals will work directly with the jeweler of your choice. If you aren't sure who to use, we can assist you in finding a reputable jeweler near you. How do I know if my jewelry is worth insuring? If you’d be upset if your piece was ever lost, broken or stolen, then it’s valuable enough to insure. The first step is getting a free, no-obligation quote to determine the cost of peace of mind that your precious jewelry is protected. After my jewelry is insured, is there anything else I need to do? Nope! As long as you have provided us with any necessary documentation we may request, like a current appraisal or detailed sales receipt, and paid your premium, your coverage has started. We’ll be in touch 30 days before your policy expires to remind you to renew. What if something happens to my jewelry and the jeweler cannot find the same stone I had? We’ll authorize the jeweler to replace your insured item with same kind and quality. But if the exact match is not available, we’ll do our best to find a comparable piece. Before your jeweler completes the work, we ensure you approve of all repairs or replacements. We accept current appraisals or evaluations from any appraiser. We recommend you refer to the American Gem Society or the National Association of Jewelry Appraisers for a list of appraisers by state. These two organizations have their appraisers trained in jewelry appraising. 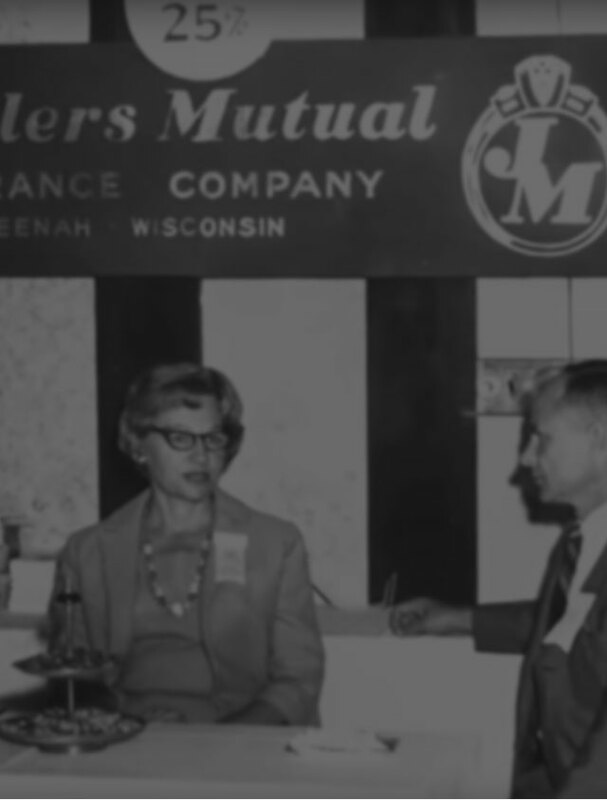 Founded in 1913, Jewelers Mutual got its start by offering premium service and protection to jewelry stores. We began offering personal jewelry insurance to individuals in 1953 after a suggestion by jewelers to offer the same service and protection to jewelry store customers.